Don’t you hate it when marketing people gush about the smallest things? We hate it too. Well 3D ProAnimator 8 is not going to cure cancer or stop global warming, but if you make your living doing motion graphics or video it may change your life. Change your life? Seriously? OK, let me explain. If rendering speed is important to you, then you may be interested in learning more. If beautiful pictures are your sort of thing, then again you may be interested. Getting both beautiful and fast at the same time? That’s where things get really interesting. Over the next few weeks we are going to reveal the new features of 3D ProAnimator 8. The features are deep and will significantly change how motion graphics are created. During this time we’ll continue to sell v7, but you’ll get v8 for free once it ships. At the end of the sneak peeks we’ll release the software and everything will be fun and games after that! The first two features we are about to reveal are awesome. If you could only get these two features they would be worth the price of the software, but of course there are many other features that make the software an even better value. Are you ready? Here we go! Boy isn't that an over-used buzzword these days! So let's put some quotes around the claim and tell you what this really means. Zaxwerks has developed a new rendering engine called the Reactor Rendering System. It is a hybrid GPU/CPU system that will do GL rendering and Ray Tracing. It uses the latest advances in rendering technology to give you broadcast quality final rendering pretty darned fast. Actually, "pretty fast" doesn't do it justice. Our testers say "incredi-freakin-ly fast" is a little closer to the truth. We've done comparisons between Maya, C4D and Reactor and what takes a couple of minutes per frame in the other programs is taking a few seconds per frame in Reactor. By "real-time" we mean millions of polygons, with textures, on real-world hardware like laptops and moderate desktops, rendering at .03 seconds per frame or less. This is a million polygon raytraced scene that crawls in most 3D programs. The best part is that it takes almost no additional rendering time. So when we say real-time we really mean it. 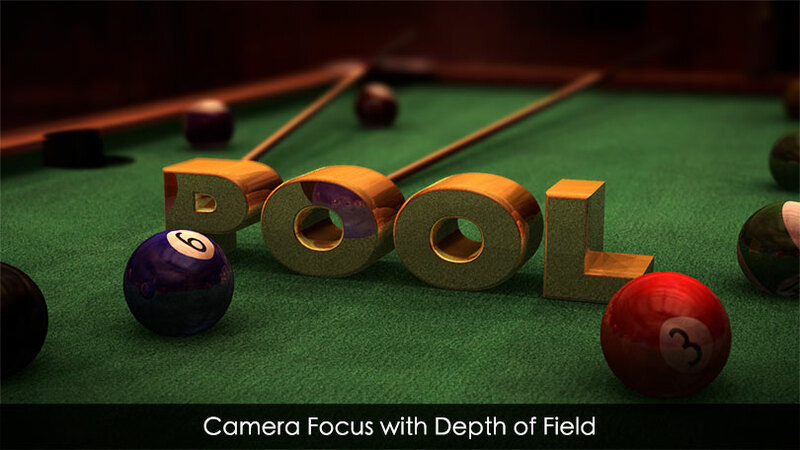 Camera focus adds incredible realism to your scene. Now that we’ve shown you the first of many new features, you can see why we think 3D ProAnimator 8 with the new Reactor Rendering System will soon be your new best friend. Be sure to check your email and spread the word! The next two features will be revealed soon so make sure you add customerservice@zaxwerks.com to your address book.